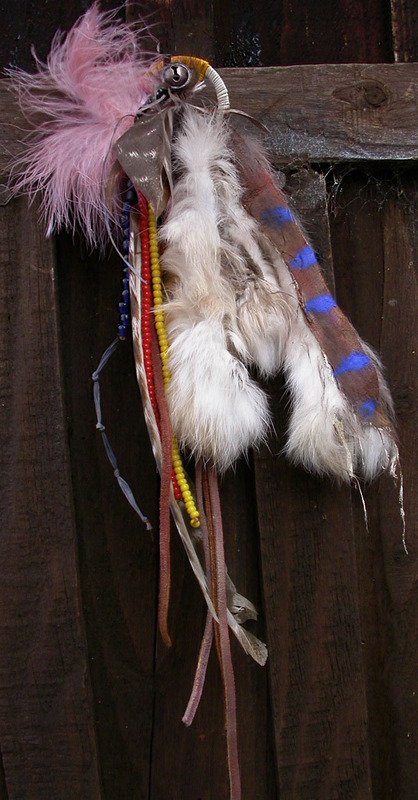 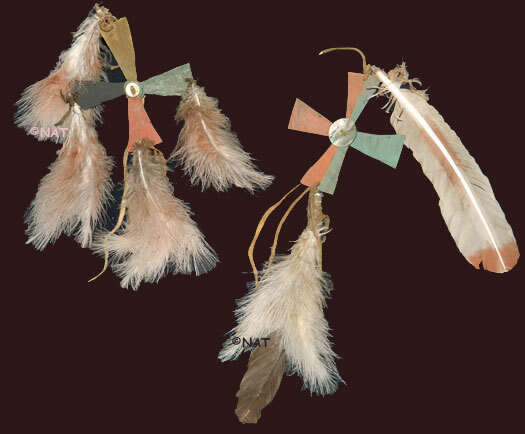 Hair Ornaments of the Native American - Plains Indian, Sioux, Arapaho, Cheyenne, etc. 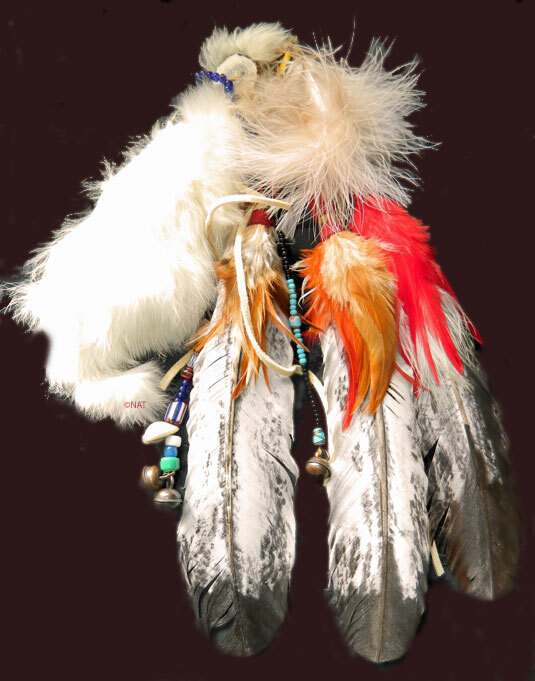 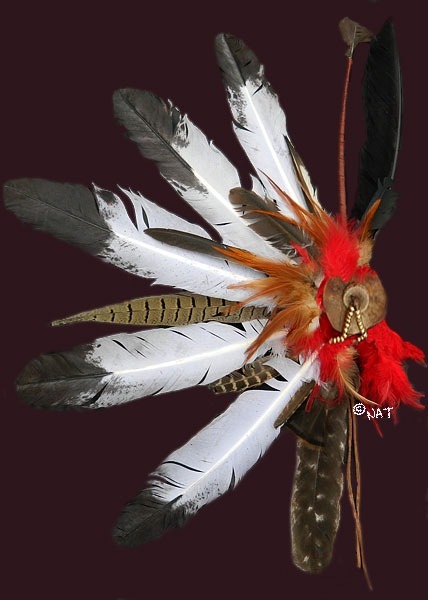 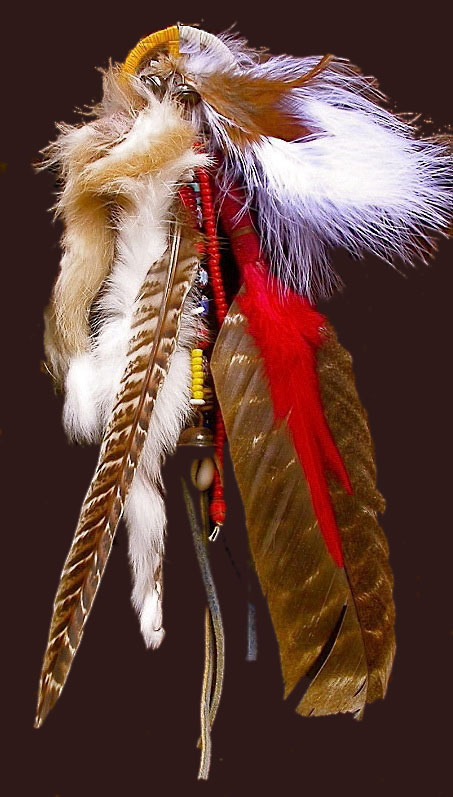 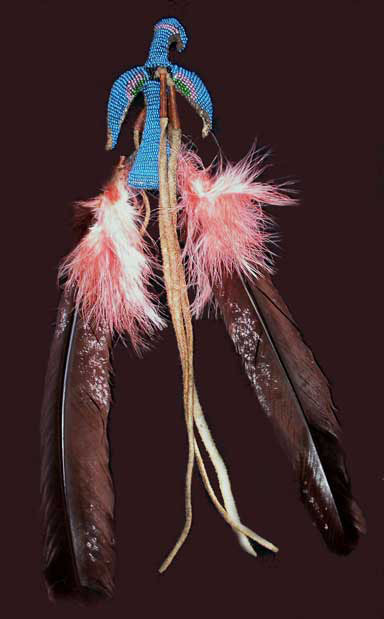 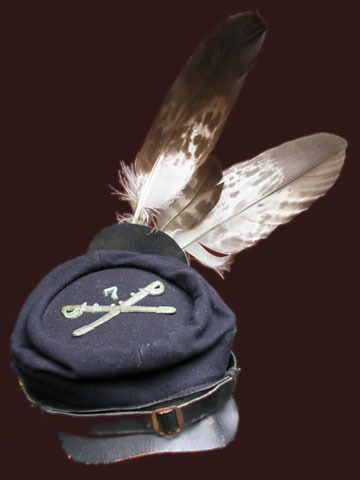 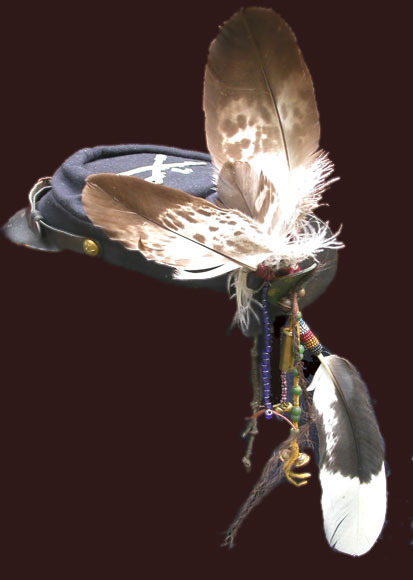 This hair ornament was based on - but not made excactly the same as the one worn by Kicking Bird in "Dances with Wolves" hand painted eagle feathers, buffalo rawhide, wild turkey, etc. 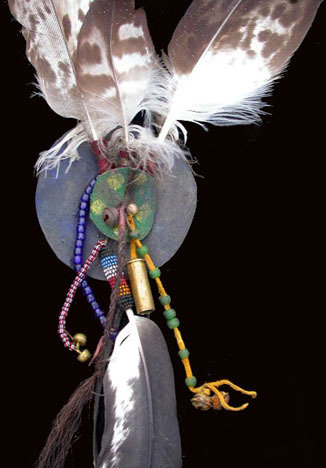 various feathers, fluffs, quilled medicine wheel, traded cloth, bells, shell, fur, etc.